SiltMats assist sediment removal by capturing silt deposits to reduce sediment deposition in river channels. SiltMats are positioned in the river bed downstream of earth or river bed disturbances. River restoration projects inevitably displace sediment. SiltMats are a natural and effective soft engineering solution for restoring balance and managing sediment pollution in channel. The mats can be either weighted down with local material excavated from the site, or staked straight into the river bed. In order to be most beneficial in terms of desilting, the mats can be positioned based on the specific channel dimensions and rate of flow. Crucially, the mat must be situated in areas of the channel where the flow is slower and there is a natural deposition of silt. The fibre matrix of the natural material that makes up each SiltMat improves water quality by preventing the captured silt from re-entering the channel, even when the water flow is higher. Field-testing results show Silt Mats are able to contain more than 20 kg of sediment per m². These sediment control mats are supplied in bales of 5, each measuring 2 x 1 metres, ensuring that they can be conveniently transported, installed and removed. Disposal is simple due to the 100% biodegradable natural fibres that make up each mat. The material is sustainably sourced, making this silt removal solution an excellent ecological choice, and can be re-used as an environmental enhancement if seeded and left on site. The SiltMat can be used alone to treat sediment. If greater prevention from water erosion or larger quantities of silt need to be removed, SiltMat can be used in combination with other frog environmental sediment control products. We recommend placing the mats underneath Silt Wattles. 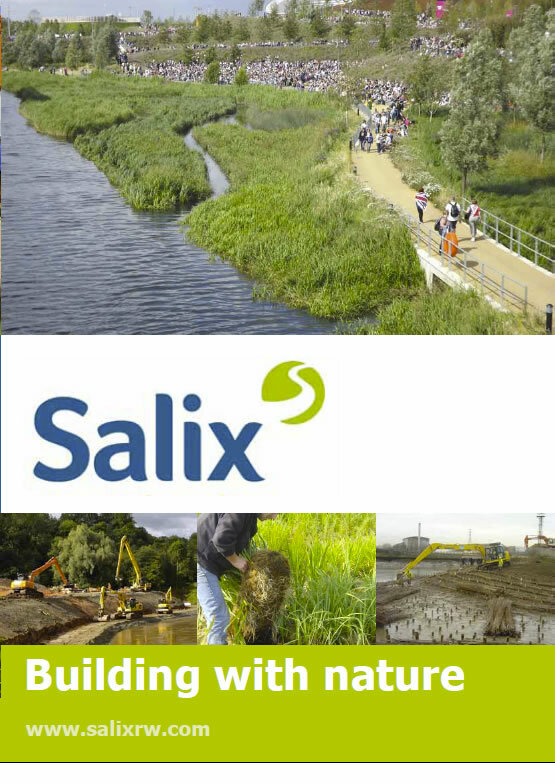 Salix supply frog environmental’s sediment control products, including SiltMats.